« The BLM rule should be in effect – what happened and what’s next? Environmental Defense Fund (EDF) supports time-of-use pricing for its benefits to the environment, the electric system, and customer’s pockets. However, the utility plans have some troubling gaps that may prevent the new system working for everyone. For California to pioneer a clean economy for all, the utilities and the commission must proactively overcome barriers facing vulnerable customers who need more help adjusting to time-of-use rates. The commission directed the utilities, Pacific Gas & Electric (PG&E), Southern California Edison (SCE), and San Diego Gas & Electric (SDG&E), to transition customers to time-of-use rates starting in 2019. In these most recent plans, PG&E and SCE propose delaying the roll out until 2020 and 2021, respectively. They are requesting the delays in order to further upgrade their IT systems, incorporate lessons learned from ongoing pilots, and conduct more marketing, education, and outreach. Unfortunately, it is unclear if these delays – and the extra associated costs – will help vulnerable customers enough with the transition to time-of-use pricing. If customers don’t see the intended benefits from the delays, it makes sense for the utilities, and not customers (as currently proposed), to foot the bill. With that in mind, the utilities should have to demonstrate how delays, and the work they plan to accomplish during this time, ensure successful transition to time-of-use rates, particularly regarding additional effort to support low-income customers in hot climate zones. PG&E testimony [PDF] highlights approximately 2 million low-income customers in hot areas who the utility plans to exclude from time-of-use pricing. However, there’s no reason to stall transition of PG&E’s remaining estimated 2.7 million customers on the original timeline, since it will deliver environmental and economic dividends immediately. Customers who, based on their historic energy use, are expected to see either no or little bill increases in the summer. For example, Californians in cooler parts of the state will be able to adjust to time-of-use more easily because they don’t rely as much on air conditioning during high-priced times of day. Customers better equipped to manage their energy use in response to price signals because they already have programmable thermostats. Customers who use less electricity because their homes are energy efficient, so that even if their bill changes it’s still a less than average burden. Customers with enough income to quickly absorb bill changes. Engaging the utilities and the broader community of energy innovators and programs to assist the most vulnerable Californians will take time and may necessitate a delay. However, the commission should hold the utilities accountable to the original 2019 timeline for customers who are unlikely to need special assistance. Lawrence Berkeley National Lab found that by 2025, Californians could save $700 million each year by shifting 20 percent of the state’s energy demand to align with renewable resources like solar. 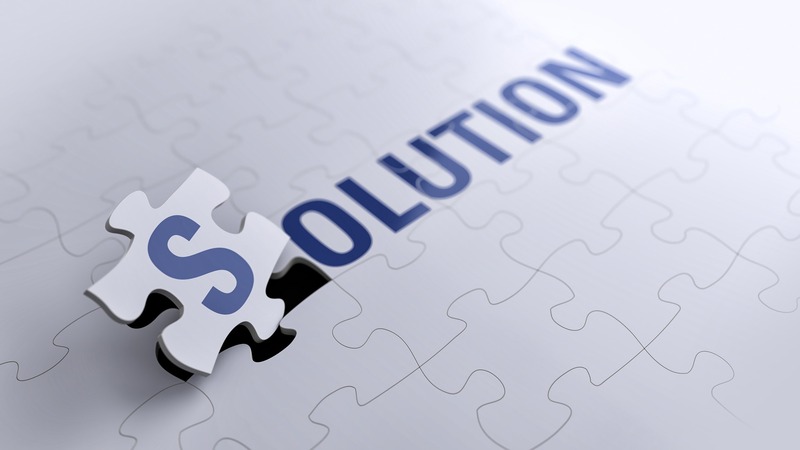 While delivering solutions may take some time, viable solutions are in sight. However, for vulnerable customers, shifting demand to align with cleaner resources requires more utility planning to ensure these customers aren’t surprised by bills that lead them to forgo electricity for air conditioning when it’s hot, or to pay such bills at the expense of essential services. While all three utilities pay lip service to the fact that low-income and disadvantaged communities may suffer adverse financial or health impacts as a result of the transition to time-of-use rates, none offer sufficient solutions to this critical problem. All customers, including those who are vulnerable like low-income customers in hot climate zones, seniors, and those with special medical needs, warrant the opportunity to be ready for time-of-use price plans. Utility energy efficiency funds and solutions ─ including weatherization, smart thermostats, shading, LEDs, cool roofs, and upgrading air conditioners through programs like the Energy Savings Assistance Program ─ can ease the current burden of energy costs. What’s more, the program can empower customers to capitalize on the incentives created by time-of-use rates. Enhancing the role of community solar and distributed energy solutions, including electric vehicles and small-scale storage (already being explored in many communities through utility transportation electrification pilots), could help offset potential financial burdens. Illinois’ Solar for All program is a great example. The utilities must invest the time, effort, and capital needed to facilitate pathways for third party innovators and government agencies to provide solutions for vulnerable customers. Without this effort, many communities may see suffering from the time-of-use rollout in the near-term, and may miss economic development opportunities ptovided by the growing clean energy economy. Until utilities put appropriate solutions in place that permit vulnerable customers to more easily respond, these customers should not be moved onto time-of-use rates. By requiring the utilities to proactively craft and implement solutions, regulators can ensure time-of-use pricing plans will work for all Californians. With it, the state can continue to lead the way in developing a clean economy that truly is benefits all. This entry was posted in California, Electricity Pricing, Time of Use. Bookmark the permalink. Both comments and trackbacks are currently closed. Andy, a solution to any problem is rarely improved by making it more complicated. The solution to addressing inequities for low-income customers with time-of-use pricing is simple: get rid of it. Charging everyone a flat rate for electricity wouldn’t penalize anyone for when they need to use it – especially those for whom electricity is a significant household expense, and convenient, affordable access is critical. TOU pricing is, in effect, shifting the responsibility of utilities to provide sufficient generation to the shoulders of customers least able to afford it. Might we see Location-Of-Use (LOU) pricing next – higher rates for customers in Compton than for those in Beverly Hills? Please – the last thing California energy holding companies need is another $billion or two to line their coffers. The tiered rate structure currently in place penalizes customers for using electricity at the end of the month. How is that less complex, more rational, or better for low-income customers? Studies show that many or most low-income customers will pay less on TOU rates because their loads are already flat. Mr. Fine rightly recognizes that those with peaky loads should be targeted for efficiency efforts. This is a win-win-win, and maybe even one more -win. Do you also think we should require flat pricing for gasoline, a significant, critical household expense?